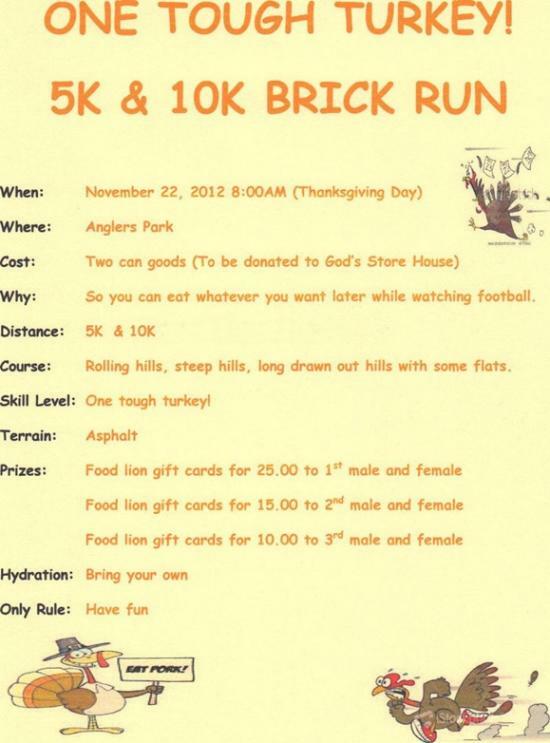 One Tough Turkey Group Run, Nov. 22nd: Come out and Support God's Storehouse and the Brick! Thanks everyone for making this a great event. Don't miss this family event!!!! !